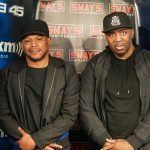 Fresh off releasing their joint project “Highway Robbery” on Tuesday, Freeway and The Jacka stop by the Sway In The Morning studio to discuss the process of creating the album, the pros and cons of being independent and being signed to a label, and bring Joe Blow through. After meeting in 2003 and working on this project for six years, the duos latest drop is something people are very excited about. After releasing their “Right My Wrongs” mixtape to hold fans over we are finally blessed with the LP. Freeway and Jacka talk to Sway about the differences between releasing music independently and through a label as well as religion bringing them closer together. 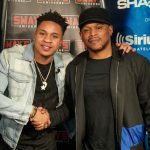 They discuss the distribution process and how it has changed and also bring Oakland native Joe Blow through to discuss his hometown with Sway. 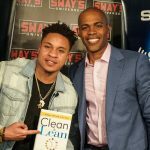 Ending the conversation with Freeway gifting Sway with some of his Best Beard Cream, watch the exclusive interview below and get “Highway Robbery” on iTunes. Listen to Freeway and The Jacka perform live in studio. A &amp;quot;STArr&amp;quot; is born! Stream TeeFlii's new album here!